Two sleeps and the big day will be here. A lot of work and time spent for one day. But when surrounded by those we love it is so worth it. For those who celebrate this Christmas season as I do, Merry Christmas. For those who celebrate this holiday season in another way, Season's Greetings - Happy Holidays. I wish peace, love, joy and good health to all. Merry Christmas! I hope you and your family have a wonderful holiday filled with lots of love! Merry Christmas Cindy from another Cindy! Wishing you peace, love, joy and good health from southern Illinois. 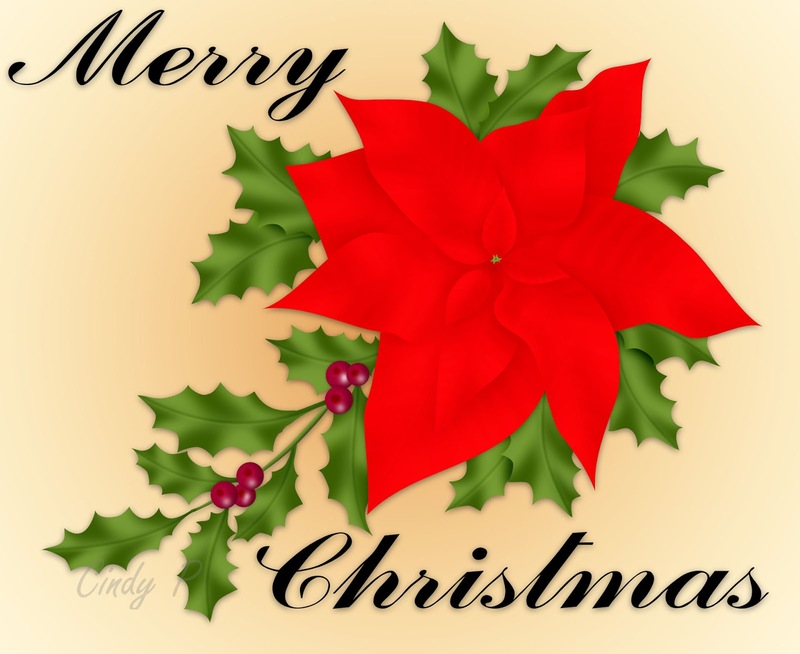 Merry Christmas and a joyful time with those you love Cindy! Merry Christmas Cindy. I hope you have a great Christmas. Merry Christmas to you Cindy! Happy New Year now too! Hope you've had a wonderful and precious past few days.